I can only talk from a moms point of view, but I can't even count the number of times people both close and not have said some pretty hurtful things. Some may not even notice that they do it, or that it's hurtful. I've been told that he has the "bad type" of diabetes. Instead of making assumptions when you don't know about something you should try and offer support, and I realize that people will share their "cures" meaning well, but I'm not sharing random things with people to cure any other disease. I guess maybe I'm in the minority, but even before diabetes I wouldn't have said these things to anyone. Maybe say I'm sorry your going through that, It must be hard, if there is anyway I can help let me know!" 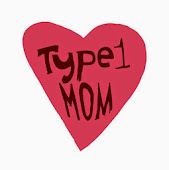 Not just hear the word diabetes and make assumptions about my parenting or my child. Now while many have said hurtful things, I have way more people around that are very supportive. Obviously our local T1D families are the best and understand completely what it's like! 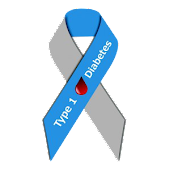 But I have a few good friends who will listen to me vent or talk about T1D and even though they don't understand that language will listen and try to learn and offer support any way they can. Try and ignore(yes it's hard) those who say hurtful things and know that they are just misinformed and trying to help even though it doesn't seem like it. Embrace those who stick by your side on this journey, they will be your lifeline and keep you from going crazy! Yes, it's so important to remember that they are probably misinformed and important to remember all the people who are supportive! Great post.